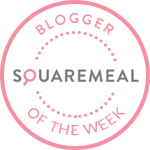 Emily's Recipes and Reviews | UK Food Blog | Leicestershire : sherwood hideaway, nottinghamshire. For a weekend of adventure, beautiful nature and an escape from the day-to-day, Sherwood Hideaway ticks all the boxes. Surrounded by the pines of Sherwood Forest, you'll find a scattering of luxury lodges nestled amongst the Nottinghamshire nature. With the nearby 17th Century Thoresby Estate, cycle paths and walking routes, you can really make your break at Sherwood Hideaway suit you. Whether you're into spa days or tree climbing, you'll find something to do. If you want to switch off your phone and unwind in the jacuzzi, that's fine too. Being a foodie, I couldn't help putting a foodie spin on our stay, making sure I'd packed lots of delicious grub to enjoy in our Woodland Rustic lodge. Because it turns out relaxing amongst nature with a fully stocked fridge and lack of 4G is absolute bliss. 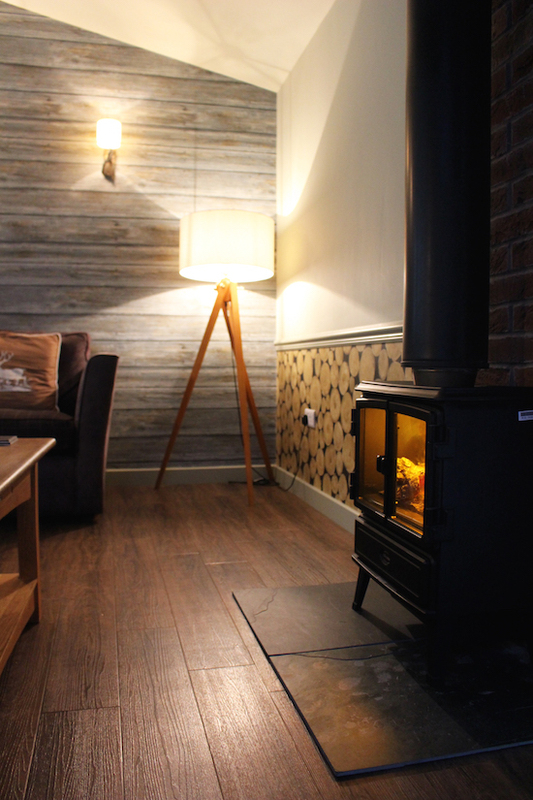 The Woodland Rustic Lodge was more than enough for us four adults, with two bedrooms, two bathrooms and an open place kitchen and dining area. 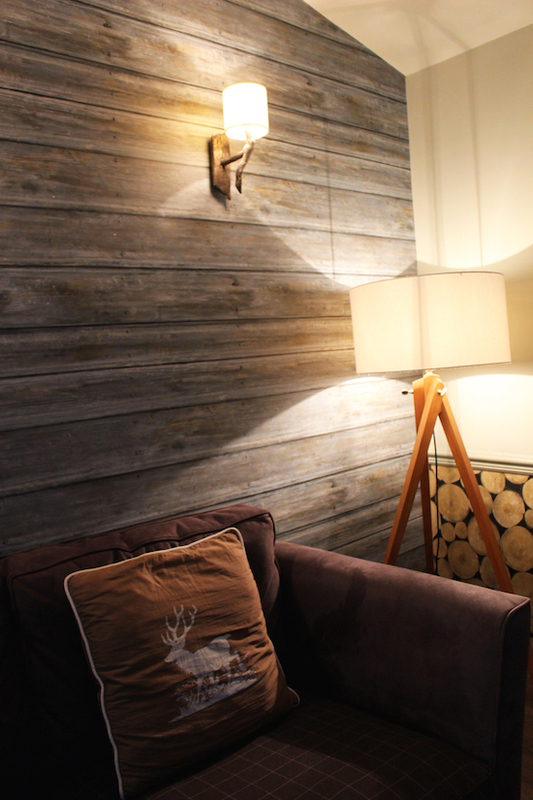 There were lots of rural influences in the form of stag motifs, cosy checks and log wallpaper, with tones of sage green, brown and tan. 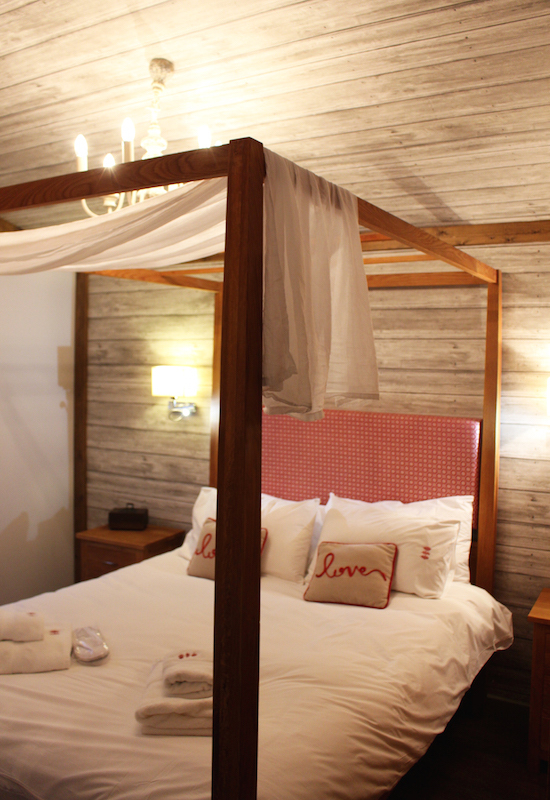 It was the perfect setting to snuggle up after dinner or a dip in the jacuzzi. Our three night stay in mid March would have cost £467, though prices differ through the year and for different size lodges. Under £250 per couple for a weekend away isn't too bad though. 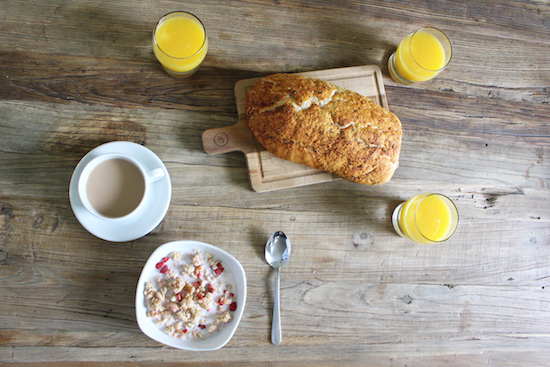 With the light streaming in in the mornings it made for lovely laid-back breakfasts too. 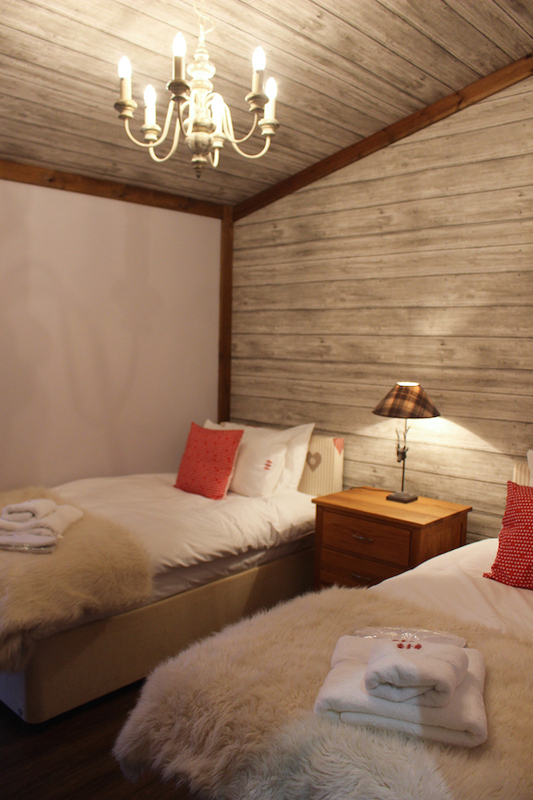 The rooms themselves had the similar rustic theme with hints of red, faux fur throws, welcoming cushions and velvety towels. There were plenty of mirrors and a great use of space with plug sockets round every corner. The bathrooms were clean and contemporary, with Molton Brown products and heated towel rails. Little hints of luxury that made our stay feel a little bit special. The perfect base for our long weekend, I've put together a few hints and tips of things we did or ideas of what to pack. So, I'd thought my shopping list was a little overdramatic and taking your own fave knive (love you, Robert Welch) was not a normal thing to do, even for self catered accommodation. Turns out it was exactly the right thing to do. Amongst our excitement of cheese and pepper grinders and gin we had forgotten that we'd need cooking oil. So if you think you might need it, take it. We also found that an extra loo roll would have been handy and we were advised to bring an extra beach towel for the jacuzzi, which was a good idea. Chuck your phone in another room and put the kettle on. Snuggle on the sofa and take in the nature surrounding your cabin. When you're finished doing that, put the kettle on again. ...and brownies! On the first night I made my favourite Carluccio's spinach balls rounded off with a glass of white and homemade brownies. These were gluten free and M&M peanut flavour, with a recipe to follow very soon. The kitchen was well stocked with saucepans, frying pans, baking trays, crockery, wine glasses and the like. I was glad I took my own favourite knife as I'm used to such sharp knives these days. It had a modern oven with electric hobs and plenty of fridge and cupboard space. Dust off the scrabble board and turn up your competitive streak. Board games, charades and pop quizzes are always a fun evening unplugged from technology. Sherwood Hideaway has some stunning surroundings just waiting to be explored. Just a few metres away from the cabins, you'll find some gorgeous forest walks and trees to be climbed. One of them goes right up to Thoresby Estate within 30-40 minutes where you can find a cafe, shop and a variety of events through the year. Fans of local produce can also find Sherwood Game here, where you can find local meats and farm produce to cook up in your cabin. On the second night we enjoyed a "help yourself" tea after one of our walks. This is exactly what it says on the tin; a good spread of delicious food where you can take as much or as little as you want. I of course ate a lot of cheese. Every foodie will tell you they love a lazy weekend brunch. 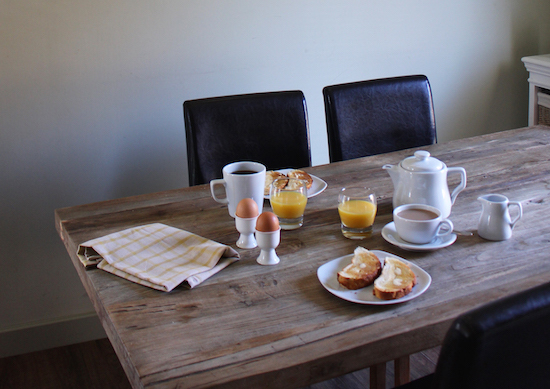 I loved making breakfast each day - complete with freshly brewed coffee, a pot of tea and OJ. With Newark-on-Trent less than a 30 minute drive away, pop out for lunch in the old market town. I recommend Strays for beautiful coffee, freshly made sandwiches and jazzy tunes in the background. I had smoked salmon, avocado and basil mayo washed down with a Bakewell tart latte. Heavenly! They also do tapas in the evenings which sounds delicious! We weren't expecting to do this, but it was probably the best idea ever. On the Sunday I was going to find something delicious from a farm shop or local butchers to cook up. Instead we though how nice it would be to order takeaway and chill by the fire. And yes, it came direct to our cabin door. Shout out to China Moon for super speedy delivery and tasty grub! 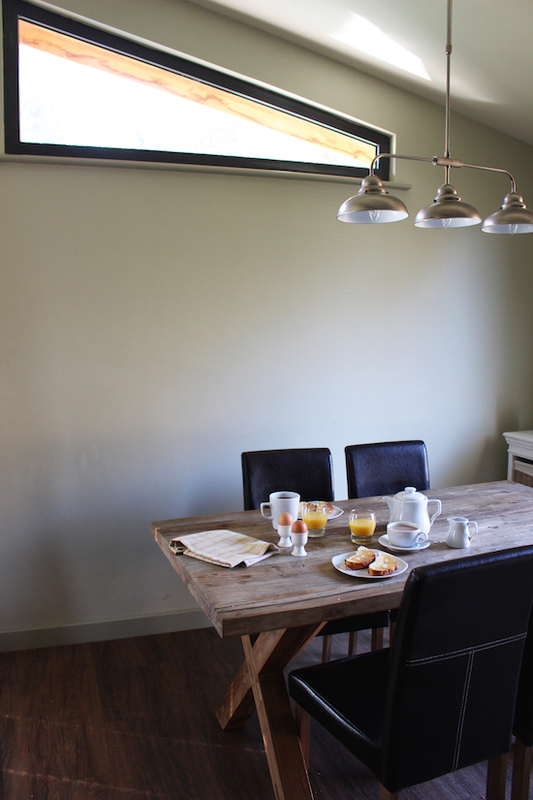 Overall Sherwood Hideaway is the ideal spot for a quiet weekend away, whether you want an adventure, romantic break, fun with a group of friends or just pure tranquility. I would recommend it to couples and families alike, with lots to do and see for some quality time together. You could easily pack lots into your weekend as much as absolutely, perfectly, nothing. I was invited to Sherwood Hideaway for review. All words, opinion and photographs my own. Looks like a fantastic weekend! Don't worry you aren't along in taking half the kitchen with you when you go away. I normally pack a box full of spices and condiments, with at least a couple of big dishes depending on what I'm planning. On the rare occasion I don't take anything else knives are still a definite. Nothing worse than struggling with a blunt knife when everyone is hungry after a long walk! No pictures of the kitchen? Was it up to scratch for what you wanted to do?